Technology devices are “covered by fabric” increasingly popular. (10-2017) Get acquainted with this new trend, forget the image of a black electronics and angular. Earlier this year, when Microsoft released the Surface Pro, there was a soft spot on the machine that everyone had to worry about. In addition to plastic, aluminum and glass, the keyboard is also covered with an alcantara cloth – the material used in Elon Musk.ng’s popular spaceship bag. “Everyone see products also are admiring: Oh, really cool”, Ralf Groene, head of industrial design for the device Microsoft said. “And then some people worried. They say that we can not put fabric on laptops; no one does that “. Alcantara fabric is coated onto the Surface. Ten years ago, things were different today. At that time, Apple released the first Macbook Pro, a box of many ugly. Dell has just launched a big plastic laptop. At the time, the design trend was “modern, breathable future” rather than “friendly”. As technology enters human life, that thinking gradually changes. 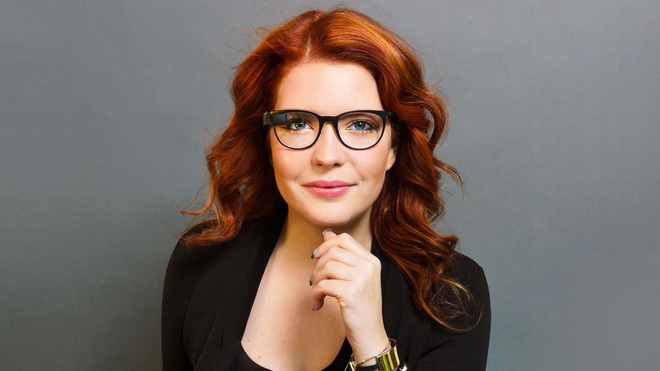 Today, companies like Google or Microsoft are more interested in making users more comfortable with their technology, because users will see them everywhere. And that made it soft, smooth. 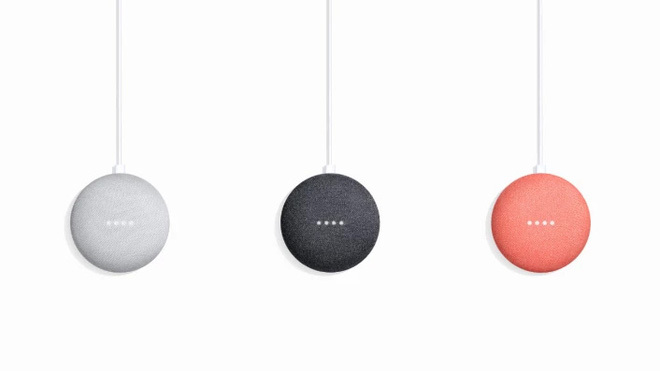 Design of the Google Home Mini, another fabric cover. In 2010, they tested a new material to make their products smoother. A few years later, Microsoft partnered with Alcantara to create an inelastic, blister-free, or shrink-resistant fabric. 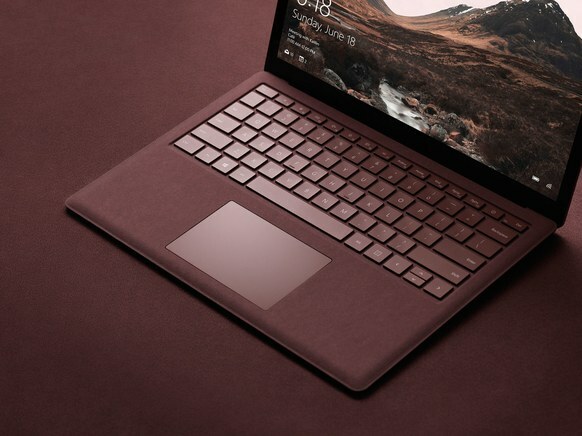 It needs to be resistant to dirt as well, so Microsoft overlaid the Alcantara fabric with an extremely thin plastic, making the fabric both dust resistant and retain its soft, smooth feel. Both Google and Microsoft have found that fabric is the key material for future electronics, and you should not be surprised to see the fabric covered with what you will buy later. It’s the trend. This article provides knowledge and some of the questions you need clarification before hiring a software company. If you are interviewing a software development company and they are not able to clarify your questions, then you should take the time for a different company. 1.How long has the company been active? All reputable and long-established software development companies are starting from the nascent companies, obviously. But when they were set up, did you want them to work with you? The answer to this problem is that depending on circumstances. Young companies are usually much cheaper than seasoned companies. So if price is a factor to consider and the project is about to launch not so important in business, then maybe try young companies. 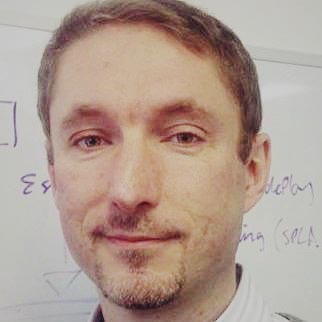 But if you’re doing a critical application for enterprises, you will need to be more careful. Software development experience is a learning process. Look for businesses that have been active for 5 years. That shows that they have the ability to solve the problems that they will encounter in their work. 2. What development process do you use? it can be a company does not have the processes work effectively and thoroughly. 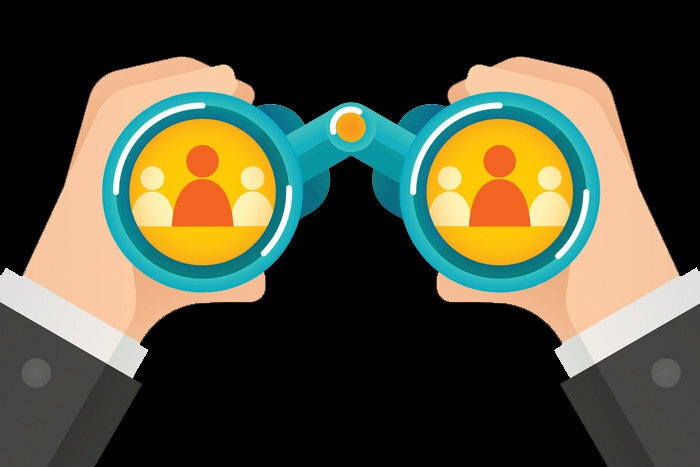 If that company talks about “Extreme Programming” or “Scrum” or “Agile,” then you are more likely to work with a software development company that employs the latest methods to get the most out of your work. 3. How do you limit risk? • Do not meet the planned schedule already set. • Budget far exceeded initial estimates. The processes the company uses to develop can help reduce the risk for both you and the developer. Specifically, the agile method mentioned above minimizes the first two risks. You will see progress on a continuous basis so that you can immediately check whether the features of the software are the features you are requesting and what the problem is that makes it difficult to use. Estimating the completion time of a piece of software is thought to be one of the more difficult tasks that the development company has to do. Again, the method of implementation will highlight the difference here. If you are providing development schedule and see the progress every week, you will be easier to know what is happening. The project risk will exceed the budget that can be restrained by using a fixed price contract. If you combine fixed prices with agile, you will be able to better understand how the budget is used during software development, also ensuring that the highest priority features are delivered. advance. Software is never guaranteed is never at fault. Simply impossible. Even if the code has no errors, errors can arise due to the application build environment. The answer you want to hear for this question is a discussion of the supplier support contract. If you later experience problems that have not happened before, you will need a support contract. Support contracts should indicate what is insured and not covered by the contract. The simple fact is that the software will change over time. Why? Environmental change. Browser changes. Changing the OS … So it’s almost impossible to create code that will work well with components that do not yet exist and are not specified. A good support contract eliminates that risk. 5. 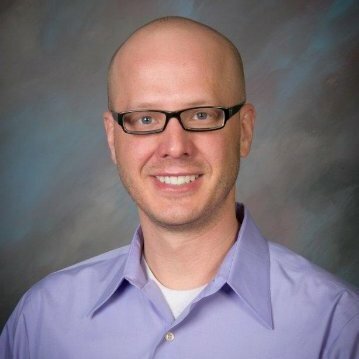 Can I interview some of your clients? They should say YES and give you a list of at least three of their old customers. 6. What is your testing process? If you do not get an acceptable answer to this question, it may be a problem. A qualified software development company will be able to articulate what the testing strategy is. If it is agile (preferred), then they should talk to you about how the test is done throughout. That tester is a member of the team and you (or your representative) will also be a part of the team, reviewing the app regularly to ensure exactly what you are expecting. 7. Who owns the code? There are some issues with this question. If the developer of the software keeps the source code of the application, you may have to pay the developer fee annually. Not all software developers charge this fee, but there is also a risk to be made to avoid unfortunate circumstances. 8. How you support the application ? Suppose that you have selected a development company and things are going well. You get the application software. It works fine for about 4 months. And then you encounter a problem. Now what? You send an email or phone call to the developer. They have time for you? Can they make it difficult for you? These are questions that you may encounter in practice. You need software company committed to maintaining the stability of the software for at least a year. You could also consider paying the costs of software maintenance in time then. May be 15% per year which may also be more or less depending on the complexity of the software and what it takes to support. In recent years, the outsourcing industry in Vietnam has certain advantages to become one of the leading software outsourcing countries. Following successes in the Japanese market, Vietnamese software outsourcing companies are actively seeking new opportunities in Europe and North America. In the US market is a lot of IT enterprises pay special attention, because this is a large information technology market, is expected to be the second potential market after Japan. 1. The fact that Vietnam is currently being chosen by large companies as a long term investment, such as Intel, Samsung, LG, Renesas, Foxconn, Fujitsu, Canon, Panasonic. HP, CSC, Cisco, NTT, Toshiba, Sony, Hitachi, Boeing, Deutsche Bank transferred research and development to Vietnam. 4. The price of software outsourcing services in Vietnam, despite the increase in recent years, is still among the lowest in the world. In order to compete in today’s economy, increasing efficiency and reducing costs are the top priorities of businesses. 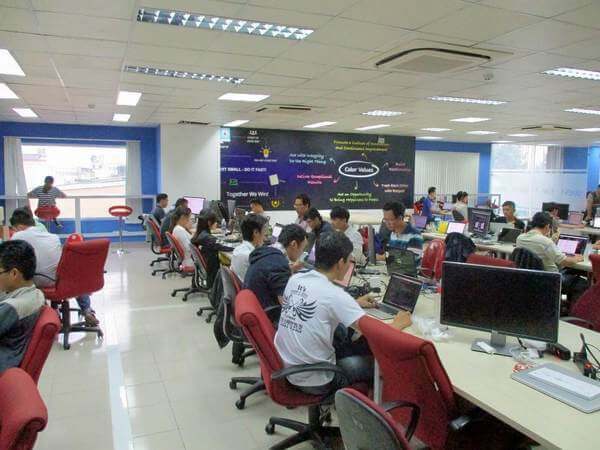 According to Nexlesoft : the criteria of service quality, high-qualified staff, diversified and cost-effective technology for customers will be the key to Vietnamese software outsourcing. 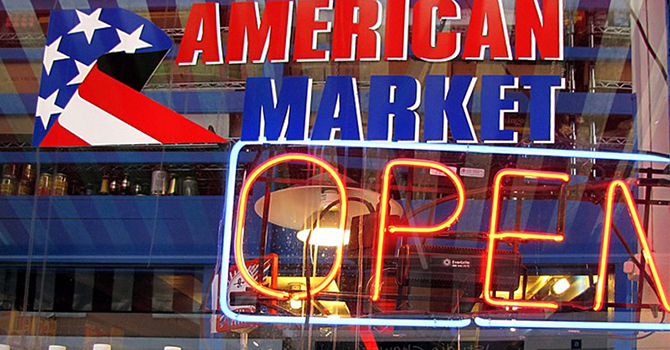 Keeping partners, customers from big markets like Japan or America. Vietnam is clearly characterized by the market as most software outsourcing companies in Hanoi focus on the Japanese market, while partners from the US often look to companies in the south, specifically is HCMC. 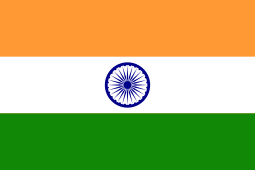 India is the most popular country for outsourcing. This is why it has become normal to hear someone who has an Indian accent, while you are attempting to activate your new iPhone. Companies across the world are reaching out to India because their culture is full of intelligent, efficient, and hard-working individuals. The only thing that is a real drawback is the country’s environment. The weakest side of this country is their political environment. The government is led by a president whom is independent of his legislature. Not to mention, the country has the second highest population in the world next to China. These two elements can sometime work against each other, thus creating an unstable environment. China is a country that is still adjusting to the world’s economy because it decided to begin to enter global business 21 years ago. Known for having the largest populous, China has over 1.3 billion consumers in its market. Manufacturers and retailers throughout the world jumped for joy when they discovered the opportunity that is – China. This country is a key player in the global outsourcing industry and plans to steal a significant segment of India’s outsourcing revenue in the future. Too many outsourcing newbies, Malaysia is a part of the top three global leaders. Its predicted net-value for the 2013 fiscal year is said to be close to $1.9 billion dollars. Known for its cost-effective and value-oriented services, Malaysia will be able to remain a key contender among it’s BPO (Business Process Outsourcing), SI (Systems Integration), and IT consulting segments. Unlike China and India, Malaysia has low people skills, which lower its attractiveness. Thailand is a very popular outsourcing country because it has been deemed to be one of the most financially attractive countries in the world. Its low costs and high returns entice business professionals around the world to invest into this profitable country. However, the country’s downfall is its political infrastructure. Thailand lacks workers who are innovative, intelligent, and cohesive to whatever project gets thrown at them. Many perceive the problem to come from its poor leadership and political decisions. A great way to understand this country is by looking at what’s going on outside of business. For many professionals who are uncertain, a visit will give more than enough for a business-professional to make a decision. Brazil is a very balanced country when it comes to outsourcing considerations. Their financial attractiveness, political/economic environment, and people skills are quite even. The company caught its first big break after reaching a 75 percent increase in outsourcing revenue in 2008. This placed the country atop the best locations around the globe. With a strong economic footprint, combined with the largest domestic IT consumption in Latin America, Brazil is revered as one of the hottest countries in the business world. Indonesia is a country that is nearing the IT leaderboard. The country has decided to move away from its dependence on exports, which made up a large portion of their outsourced business. Indonesia is now restructuring its strategy toward economic growth. Their main proponent is the IT segment, which include SI, training, support, internet, and global professional services. For businesses that are looking to join the IT segment, Indonesia should be your first consideration. At this point, you might have noticed that the list has a strong trend toward Asian countries. Bulgaria is making Eastern Europe proud through its fundamental strategy, “nearshoring”. This country offers less expensive labor and services toward neighboring countries, which include the United States and Western Europe. This tactic has helped the country climb the ranks and reach the top ten among outsourcing countries. Through an attractive and stable macroeconomic and political environment, the country has been able to provide competitive pricing and a high-quality workforce. With a growth rate of 46%, the Philippines have become a strong competitor among the outsourcing industry. This growth rate has been maintained due to this country’s low labor costs, highly skilled workforce, and language diversity. Call centers have begun showing up and provide businesses email response and management services. 80% of this service is administered to the US, which has given the countries BPO services a huge boost. Quality, Cost-effectiveness, and reliability is the best way to sum up this countries provisions. Chile has become a big player in the outsourcing world due to its advantageous location. Over forty percent of Chile’s exports go directly to Europe and the United States. Known for one of the highest acclaimed research and development sectors in the world, Chile has been deemed to have the highest ranks in EIU’s “IT Industry Competitiveness Index of 2009” One of the other major strengths of this country is its stable government and currency in Latin America. This is also supplemented by an open immigration policy, which allows work permits to be obtained within a week. There is no question that Chile has developed one of the most amazing workforces in the world. Japan is nowhere near the top ten among countries to be outsourced, but I felt that there is a lot this country has to offer the world. It’s current outsourcing principals are growth, change, challenge. Japan wishes to change how it does business with other countries by changing its current strategy while challenging the key competitors. As an American business professional, I have noticed many trends among my country including JETRO. JETRO is the Japanese External Trade Organization that is focused on helping U.S. companies that wish to begin doing business in Japan, as well as aid in the import of Japanese goods from Japan to the U.S. It is no surprise that these types of organizations are appearing mainly because the United States offers one of the largest consumer bases who are willing to buy! buy! buy! in the world. Japan is currently a low standing player, but with time and strategy, they will become a part of this list, rightfully. How to find a good outsourcing company in Vietnam ? Over the past few years, Southeast Asia has become one of the most popular destinations for software outsourcing. Especially in 2017, Vietnam has entered the top 10 most attractive software outsourcing in the world. If I’m going to start looking for an outsourcing company in Vietnam, I would start with looking at some websites about company directory software or try checking on Google by different keywords. . I will visit their websites and check briefly what they do (services, portfolios ..). Once I have a list of potential companies to work on, assuming 10-15 positions, I will check their references, go back to their portfolio and … read the blog. they. A blog provides an insight into the company’s approach to the project and its specific aspects such as communication, gathering requirements. In addition, this is a good place to improve your knowledge of the field. At this time, I will not have more than 7-8 companies on my list. Although pricing is a key issue, I would like to know more about the expertise of the team, project manager, I would ask about communication issues and request some code samples. (09-2017) According to a report by the Ministry of Information and Communications in 2017, Vietnam needs about 1.2 million people in the IT sector by 2020, with a shortage of over 500,000 people. According to the latest Vietnam IT job search 2017, the IT job search demand is at the highest level in history with nearly 15,000 jobs recruited in 2016. 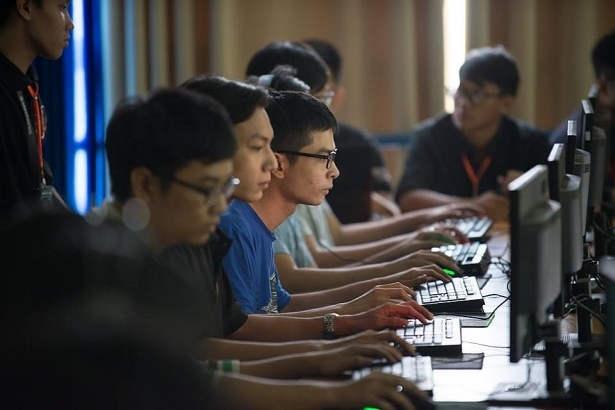 With nearly 80,000 IT employees in 2017 and 2018, compared with the demand by the end of 2018, Vietnam will lack about 70,000 IT staff. Particularly in HCMC, the demand for this industry is up to 16,200 laborers per year. Tran Anh Tuan, deputy director of HCMC Center for Labor Market Information and Forecast, said: “Since the signing of many free trade agreements and participation, The ASEAN Economic Community (AEC), the demand for human resources in Vietnam is expected to increase sharply with more than 6 million jobs added. 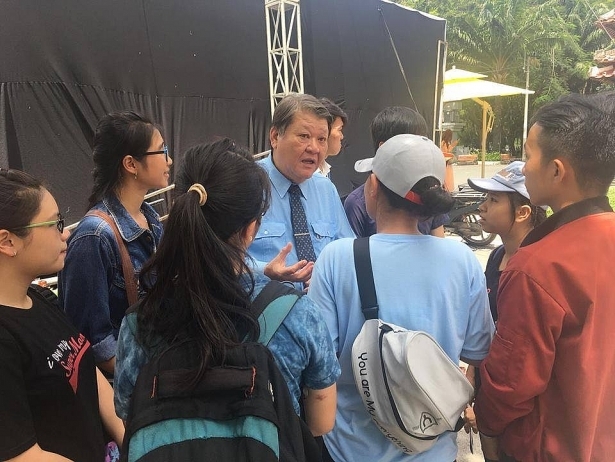 Mr. Truong Quoc Dung (Student Affairs Office of Information Technology University – VNU) also said: “One of the hot sectors of the school is software engineering is always” “Students since you were studying. By the 3rd year when they started to practice, many of them were recruited by these enterprises. 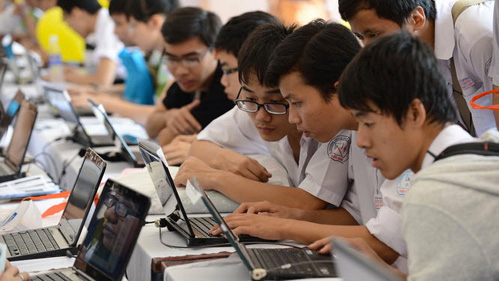 Not only domestic enterprises, but also big corporations in foreign countries such as Google always appreciate the level of information technology of Vietnamese students. Therefore, with this industry only skilled and qualified then you certainly never unemployed. Many self-starters in the field of information can be mentioned as Nguyen Hoang Trung, managing director of LOZI application – a start up Vietnam can call the capital “crisis” up to 1 million. 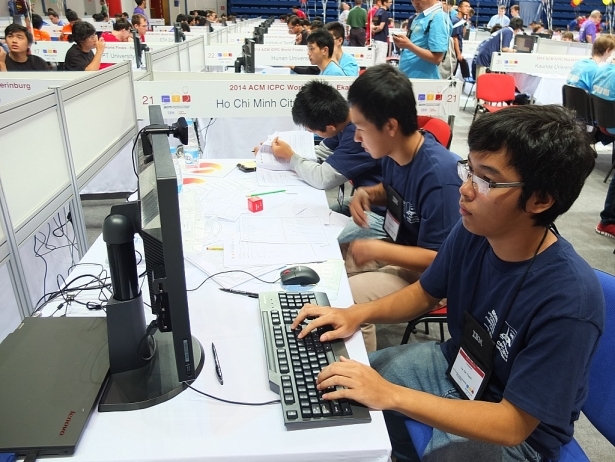 Or Le Yen Thanh – a student from the Faculty of Information Technology – University of Science, VNU-HCM was named golden guy of Vietnamese Informatics when Google paid $ 6000 / month to set up their own startup. Commenting on the common point of many IT students, Le Thanh Thanh said: “I find that Vietnamese students are very good, even when working at Google many of you have a good knowledge of good and good, However, you still have a lot of theory, have not really explored and expanded in your field. The scarcity of human resources in the IT industry while the labor market is always expanding for this industry is explained by Mr. Tran Anh Tuan: “The number of IT students graduated each year is quite high but to be able to do Jobs at the business, students need to cultivate many skills in addition to the knowledge available. The weakness of Vietnamese students is still passive, not actively explore, especially the foreign language is very poor, this is the reason why you have not found a job and businesses themselves can not find. to work properly “. According to Tuan, there are three issues of human resource that need to be considered most in the coming time: skill, foreign language and industrial behavior (discipline and responsibility). Not just in the IT industry, but in any profession, students will find it easy to find a job. 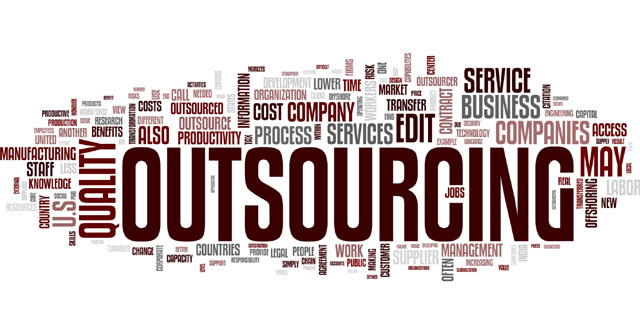 Why do outsource, may it be right for you ? WHY DO OUTSOURCE, MAY IT BE RIGHT FOR YOU? 1. Focus on core activities. 5. Improve management by taking advantage of the vendor’s experience and knowledge. – WHAT product do you want to develop. – WHO is your potential customers/users. – WHEN will you intend to release. – WHERE or potential market of your product. – And WHO are your customers/users. – Imagine HOW to develop this product? HOW to approach customers? In fact, your success will depend on how well you plan, organize, execute and control the areas specified. Besides that, finding out one trusted outsourcing partner will be the last important thing. – RAPID AGILE DEVELOPMENT: With Agile methodology, you could see exactly product development’s progress. – EFFECTIVE COMMUNICATION: All communications must be clear and responsive. You need partner response instantly about progress, schedule, problems and issues. – HIGH QUALITY WITH COMPETITIVE COST: it depends on your target project, mostly, shorten product time to market, reducing software development cost and available solutions for new demands will be key to measure the quality outsourcing partner. – TALENTED RESOURCES: Developers with high education who be selected from top universities with experienced and skilled workforce, they may help you solve IT challenges and grow business fastly. – EXPERIENCE: learning their portfolio will help you. Last but not least, knowing what current clients say about potential software partner are important too. Our team is commitment and dedication to client success, free clients mind about IT challenges so you can focus on core business. With staying on the leading edge of technology, we can help clients constantly innovating on their products. Software outsourcing is a strategic branch of many companies today. From the lessons of Indian software outsourcing companies, Vietnam now has significant competitive advantages over outsourcing companies. 1. Support from the government. In recent years, it has been found that outsourcing software outsourcing services increasingly contribute to economic development. The government has strongly encouraged investment in high-tech zones, software parks, and tax incentives and human resource development strategies. Therefore, the trade between the software outsourcing companies in Vietnam and the partners have many advantages. 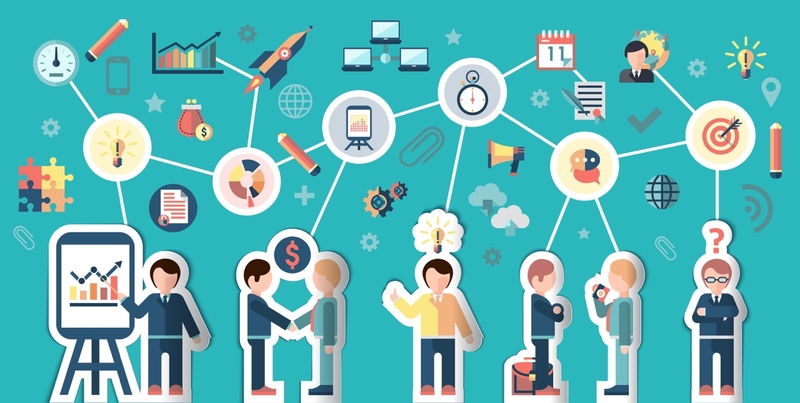 With well-trained technical human resources from leading universities in Vietnam along with creativity, software development outsourcing software developers are fully meeting the requirements of business partners. business. Currently, although the price of outsourcing services in Vietnam has increased, it is still 30% lower than Eastern Europe and India. English is the international language and English is the most popular foreign language in Vietnam. The language problem has improved a lot as software development engineers in software development Vietnam has been trained. Communication is no longer a barrier between outsourcing companies and partners. Savvycom specializes in outsourcing software outsourcing company for US, UK, Australia and Singapore with more than 50 loyal customers and more than 300 successful projects. With innovative and experienced software development engineers that can meet virtually all requirements from customers. In addition, with in-depth knowledge, Savvycom advises on solutions, testing software for customers to get the software after being announced to receive satisfaction from their partners and customers. [16/10/2015] VNITO 2015, the biggest Vietnam IT Outsourcing conference was held for the first time at Reverie Saigon Hotel (Times Square) in two days 15th – 16th October, 2015. This event attracts nearly 400 local and international business leaders, government representatives, entrepreneurs, education representatives; of which there are approximately 100 potential international investors/vendors from U.S, Japan, Europe, Australia, Korea, and Singapore. VNITO 2015 offers highly credential data from IDG, Gartner, KPMG, and McKinsey as well as statistics and in-depth discussions in the field of ITO/BPO. The conference accommodates lots of B2B matching, cooperation and investment, and direct networking events. Participating companies have many opportunities to promote their image and seek potential IT outsourcing clients. [26/3/2015] With NTVS (Node.js Tools 1.0 for Visual Studio) released Wednesday, Microsoft is enabling its Windows software development platform for use as a Node.js IDE. NTVS is a free, open source extension for Visual Studio 2012 and 2013, the free Visual Studio Community and Visual Studio Express for Web editions, and Visual Studio Professional. It supports deploying Node.js applications in the Microsoft Azure cloud, and it covers remote debugging to Windows, Linux, or Mac OS platforms. Advanced debugging and profiling capabilities in NTVS offer developers an advantage over print-line statements, Itani explained. “We’re always shocked to hear how many people are relying on print-line statements to debug their Node.js code. With NTVS, you can enjoy stepping through your code with breakpoints and automatic exception notifications. Advanced features include conditional breakpoints, tracepoints, hit counts, and edit-and-continue.” Unit testing, meanwhile, is enabled via integration with Visual Studio’s test explorer capability. NTVS offers Git and Microsoft Visual Studio Team Foundation Server integration as well as project templates. Microsoft recently joined the Node.js Foundation, which is intended to provide an independent governance model for the platform.